Voice over IP or VoIP is a technology that can make ubiquitous connectivity and seamless communication a reality for a business. In addition to the voice and video calling, it also offers a rich set of multimedia features like conference calling, presence, messaging and call forwarding etc. This gives it unarguable superiority over traditional telephony. Choosing the right VoIP provider for your business, however, does require research because not all of the companies offer solutions that change the way you communicate. In this article, we will look at precisely how a modern VoIP phone service can help the sales department of a budding business. Sales is all about outreach and one of the best ways to reach your customers is via phone calls. It goes without saying that your sales team will require a dependable, low-cost and efficient way to communicate at all times. Traditional PBX telephony is no longer a viable option because as soon as the amount of calls start adding up, you will start seeing bills with big numbers on them. Additionally, you will also not have the supplementary calling features with the traditional system like VoIP whisper, VoIP barge, call recording and call analytics etc. which can help a sales department in many ways. On the other hand, if you compare different VoIP companies and find the best VoIP service for your business, you will see a huge reduction in costs and you will also be able to make more calls than ever before. If you are a business that is expanding then, too, VoIP will be kind to you as scalability is never an issue with it. VoIP also allows you to have virtual extensions which helps a manager in providing every sales agent with their own phone number. This way, connecting with prospective customers becomes more seamless and simpler. The best part about a VoIP system is that it’s virtual so you don’t have to manually send the call over to your colleague; you can let the software do it for you. Now that we have established how beneficial a VoIP system can be for a sales team, let’s take a look at some of the features present in famous VoIP solutions like Vonage that can especially be helpful for a sales team of any business. In the modern world, a sales person has to be versatile and energetic. One minute they are on their table talking about a possible deal, and the next they are rushing in their car to close a deal that they initiated a week ago. Amidst all this chaos and mobility, having a means to always stay connected is of primary importance and this is the biggest advantage VoIP has presented over the traditional PTSN systems. What if you go for lunch outside and your biggest client calls you on your landline only to find out that you are not available? The last thing a sales person wants is for their customers to not be able to reach them. VoIP changes that for good. Even if you have a mobile phone to go with the landline, it isn’t the most efficient way to stay connected as every time somebody wants to reach you, they will have to choose the correct number to dial. 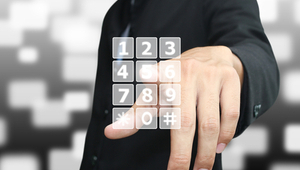 With VoIP, you only have one number which you can use to make or receive calls from anywhere. It doesn’t matter whether you are on the road, chilling at your home or making tea in the office kitchen, you will not miss a call. 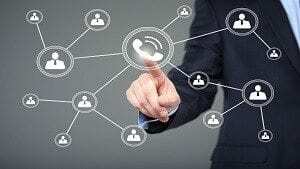 Another excellent feature that VoIP offers is that it allows you to get in touch via multiple devices. Is your mobile likely to run out of battery soon? Grab your laptop and use the desktop VoIP application. Are you going to attend a conference in a different city? Still remain in touch with your customers from the comfort of your hotel room via your mobile phone. This ability to move about while staying connected not only enhances the chances of customer satisfaction, it also keeps your employees satisfied with their jobs. Different VoIP service providers have different sets of multimedia features and you should choose the right one for your business as your sales team will love getting their hands on them. Modern VoIP systems allow you to set up conference calls in seconds, get voicemail delivered to the right inbox on time and set up call recording. This helps a manager in reviewing employees’ performance at the end of every year. Other features like call analytics, VoIP whisper and barge also help supervisors and administrative staff to ensure that all customer queries are answered accurately and to their satisfaction. 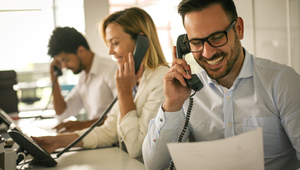 Another feature that makes sales teams love VoIP is that it integrates with important enterprise software like customer relationship management systems and email servers seamlessly. 8×8 VoIP can combine with Salesforce and/or Outlook to help your sales teams in boosting customer service and enhancing productivity. This way, if an agent needs to make calls to a selected group of customers, they can look up their information from the CRM and then use the numbers to make calls from the VoIP solution. VoIP adds a new dimension to communication for a business by giving location independence and by ensuring a huge reduction in calling costs. In the above article, we see exactly how a sales team can benefit extensively from a business VoIP solution. Agents no longer have to worry about leaving their desk because they know that by using a VoIP application, they can be reached wherever they go, provided they stay connected to the internet. By integrating with customer relationship management systems and other applications like mail servers, VoIP not only reduces the administrative workload of the sales team, but it also makes it possible for them to enhance the levels of customer satisfaction by providing instant and targeted support.